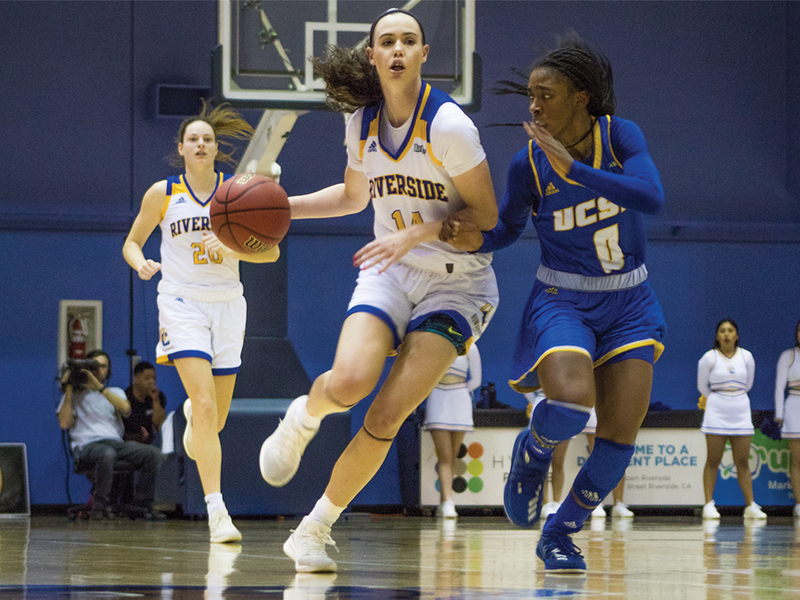 Despite leading by as many as 20 points, the UC Riverside women’s basketball team (10-11, 4-3) was able to fend off a late fourth quarter comeback by Hawaii (7-12, 3-3) for a 60-55 victory. The Highlanders came out the gate shooting 42 percent from the field and holding their opponent to only eight points in the first quarter. From here, UCR started a 9-0 run midway through the second quarter, before ending the first half with a 34-21 advantage. At the break, redshirt junior Jannon Otto led all scorers with 14 points on 7-of-11 shooting. Riverside kept up their solid play in the third quarter, outscoring the Rainbow Warriors in the period by six points to take a 19-point lead as they headed into the final quarter. At this point, UH didn’t have much to lose, so the home team experimented with a full-court press. It ended up paying dividends as it helped contribute to nine turnovers by the Highlanders in the final period. 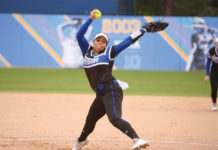 This turned into positive momentum for Hawai’i, as Leah Salanoa and Jadynn Alexander went 3-for-3 and 3-for-4, respectively in the fourth quarter alone. Salanoa came up clutch for the home squad, scoring five points in the final two minutes to cut the Highlander lead to only three points. However, a pair of free throws by sophomore guard Keilanei Cooper would ice the game, as time ran out and cut the Hawai’i comeback short. Otto finished with game-highs of 22 points and 9 rebounds, while redshirt freshman Daphne Gnago added 10 points and nine rebounds of her own. 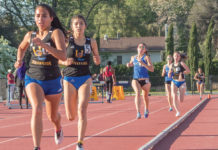 The team then travelled back home to Riverside for a two-game homestand, where they played against UC Santa Barbara (4-16, 1-6), on Saturday, Feb. 2. The Highlanders picked up a 73-60 victory, recording the team’s first three-game winning streak of the season. The home squad held the Gauchos to only three points in the first quarter, with the visitors shooting 1-for-16 from the field. Afterwards, UCR amassed a 17-0 run that ended when Santa Barbara hit a jumper with seven minutes left in the first half. Riverside proved to be too much to handle down low, outscoring their opponents in the paint 40-22. The Highlanders also capitalized on the Gauchos’ errors, scoring 18 points off of UCSB’s 17 turnovers. Otto kept up the stellar season she’s been having, scoring 26 points and grabbing seven boards in the process. This continues her streak of scoring 20-plus points in seven of the last nine contests. Senior forward Malou De Kergret had a solid outing as well, putting up 10 of her 20 total points in the fourth quarter alone, while Gnago flirted with a double-double yet again with 16 points and nine rebounds. The win moves the Highlanders to a game above .500, and could be the type of victory that propels even more momentum for the rest of the season. UC Riverside looks to extend their win streak to four games, as they host Cal State Fullerton on Thursday, Feb. 7 at 7 p.m.